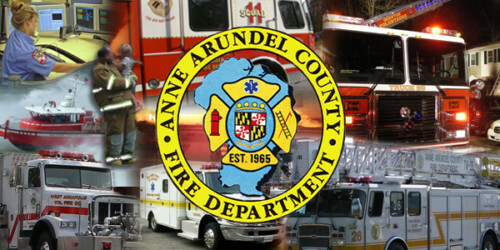 At around 12:15 a.m. this morning, County Firefighters responded to a dwelling fire in the 200 block of Providence Road in the Mulberry Hills community of Annapolis on the Broadneck peninsula. Upon arrival, fire was evident from the roof of an attached garage of a two-story occupied dwelling. Twenty-nine firefighters from Anne Arundel, Annapolis and the Naval Academy were able to bring this 1 Alarm incident under control in 30 minutes. The cause of the fire was determined to be legal fireworks (used) which had been placed in a trash can within the garage. Along with two vehicles located within the garage, the total damage is estimated to be $250,000. Three residents within the home were able to escape the home prior to the arrival of the Fire Department. It is unclear whether smoke alarms in the home were operable. Red Cross assistance was not needed and no injuries were reported.